The Chilean pianist Claudio Arrau was an icon of the piano. His masterfully musical interpretations are worshiped all over the world. He's one in my top 3 favorite piano players. In my opinion he had the ability to create absolutely perfect music, full of emotion and life. Incredible! Arrau was born on midnight on the 7th of February 1903, in a small city in Chile. He was descended from prominent families from Spain and Scotland. 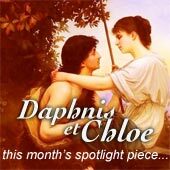 His mother was a piano teacher, and his father (who died when Claudio was 1 year old) was an oculist. He showed amazing talent at the keyboard at a young age, and gave his first recital when he was 5 years old. The president of Chile was so impressed with little pianist Claudio's talents that the government gave him a grant to study piano in Germany. So off the musician went to Germany with his family, at age 8. The grant was to study for 10 whole years. He was a huge sensation there, performing frequently for all kinds of important people. He met a master teacher, Martin Krause, who had studied with Liszt himself. Arrau was Krause's favorite student, and the master molded the young talent into a supreme performer. Arrau's fame grew as he performed recitals all over Europe and Latin America. He founded a piano school in Chile, then went to live in New York City with his family in 1941. There he spent his time giving concerts, teaching, and making recordings. He was a legend in Chile, where the capital Santiago has a massive avenue named after him (I saw it when I was there!). When the pianist returned to Chile in the 80s to perform after a long absence, the media was in a frenzy. 80% of the country heard or saw his recitals on TV and radio. 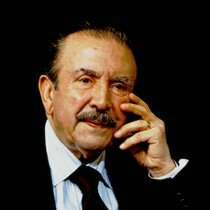 Claudio Arrau was an intellectual, who loved to read. While traveling all over the world on concert tours, he read all sorts of different books, and became fluent in 5 languages. In old age he even cut down on the number of performances he gave so that he'd have more time, among other things, to read! A great wish of his was "Another hundred years, just to read". He died in Austria in 1991. Claudio Arrau made his interpretations as faithful to the composer's ideas as possible, taking them very seriously. He even took into account the time periods the composers lived in and their inner states of mind. His fascination with psychoanalysis helped him with this. He played with a true artistic purpose to explore and reflect on the music, not just as way to show off. He used his god-like piano skills purely to create art. One of my favorite Arrau quotes is "An interpreter must give his blood to the work interpreted.". There's a great balance between his technically invincible accuracy and nuance (from his German musical training), and his natural Latin passion. This combination of the mind and the heart works brilliantly. He had a heavy, rich tone, and somehow had the ability to make the piano breathe and sing. The pianist Claudio Arrau was massively famous and respected as an interpreter of Beethoven and Debussy. But critics and listeners hailed him as the supreme master of many other composers too, including Liszt, Mozart (click for biography), and Chopin. The amount of music he recorded is huge! 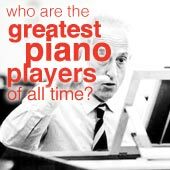 He recorded all 32 Beethoven piano sonatas several times, as well as most of the piano music of about 30 other composers. You may also like cuban pianist Jorge Bolet's playing, which is similarly passionate and colourful. Beethoven piano sonata no.30 op.109, 1st movement. Arrau was a Beethoven specialist, and it shows here! 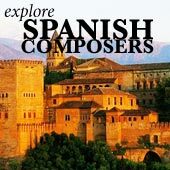 For a great resource on everything about pianist Claudio Arrau, check out the Arrau House website.